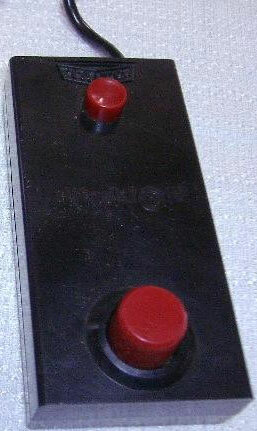 A very nice controller to get full benefit from manoeuvring the paddle across the base of the screen. Quite a desirable accessory for the Famicom looking very retro. Comes with the debut release on the system. Any game containing the Easter island heads already scores well with Genki. Second hand. 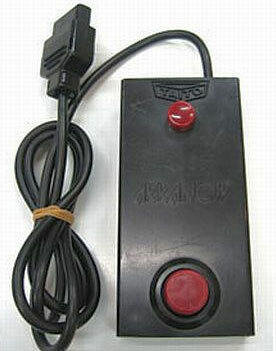 A slightly sluggish feel to the dial, but we have never stocked this before so it may be the nature of the controller. Works fine though. Controller scratching. Slight wear to cart sticker at base.